Last week Governor Bob McDonnell announced two new agriculture export deals with Asia. Montague Farms, a family-owned producer and exporter of specialty soybeans based in Center Cross, Virginia, reached a new agreement to supply food-grade soybeans to a customer in Japan. The specialty soybeans will be imported by Tokyo-based Sun-Tommy International Company and distributed to food processors in Japan. The soybeans will be used to make natto, a fermented breakfast food that is considered a traditional delicacy in Japan. Governor McDonnell met with executives of Montague Farms, Sun-Tommy, and a food processing company in Tokyo on Wednesday to thank Sun-Tommy for reaching an agreement with Montague and to discuss future export business from Virginia. The genesis of the trade deal between Montague and Sun-Tommy has roots in the governor’s trade and marketing mission to Asia in 2011, when Mr. Minoru “Tommy” Tominari, President of Sun-Tommy International Company met with Governor McDonnell and other Virginia representatives to discuss future export opportunities. Since that time, Mr. Tominari has worked with Montague Farms and Virginia agricultural trade representatives in Asia and Virginia to develop new sales opportunities for Virginia’s food-grade soybeans in Japan. The specific financial terms of this new sale are confidential due to the specialized and highly competitive environment for this unique farm product, but the deal is valued at approximately one million dollars. The specifications for the soybeans to be exported by Montage Farms to Sun-Tommy International are strict. 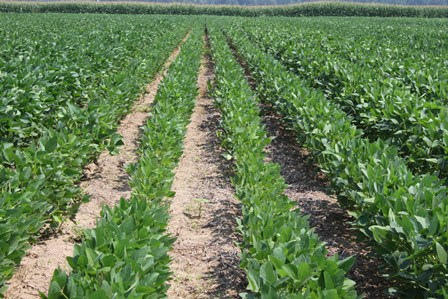 The soybeans supplied by Montague must meet strict requirements for size, shape, color, moisture content, and several other physical properties. The soybeans also must be certified as not having been genetically modified (non-GMO). Montague Farms contracts with a network of farmers in Virginia and surrounding states to grow and ship specialty soybeans. Chateau Morrisette and the Tianjin Commodity Exchange Company Limited (TJComex) have reached a five-year agreement to export Chateau Morrisette wines to China. The inaugural sale of more than 1,150 cases of wine from Chateau Morrisette was scheduled to arrive in Tianjin, China’s fourth largest city, during the Governor’s mission to Asia. In Beijing, Virginia Secretary of Agriculture and Forestry Todd Haymore met with leadership of the commodity exchange to recognize formally the sale of Chateau Morrisette wines after meetings in Virginia late last year and to discuss future wine purchases. Haymore and TJComex leadership also agreed to explore potential export opportunities of other agricultural products. Chateau Morrisette is located in Floyd County and is regarded as one of the oldest and largest production wineries in Virginia. 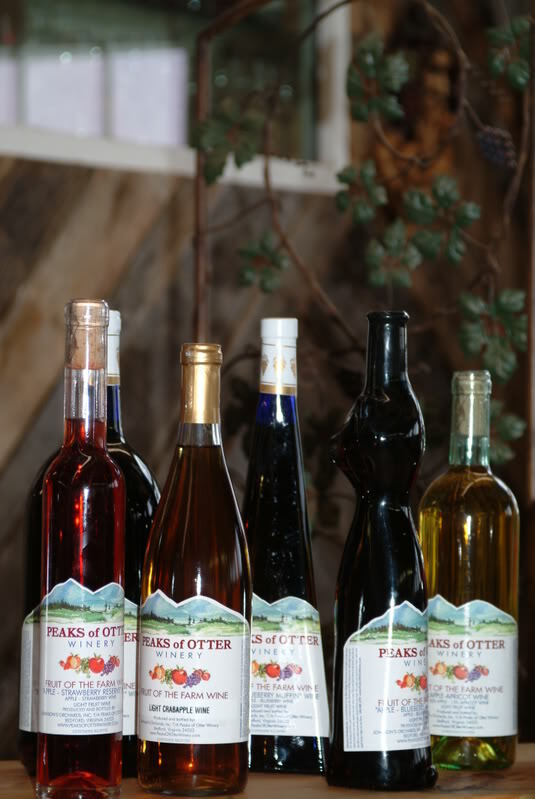 The winery produces more than 60,000 cases of wine per year from its scenic location on the Blue Ridge Parkway. TJComex was founded as China’s fourth commodities exchange and the first in the country to be funded privately. The company provides a trading platform for a wide range of materials and commodity products, ranging from wood products to iron ore, and now high-value agribusiness products such as wine. The exchange began operations in December 2009 and is developing its portfolio of commodities along with opportunities generated by consumer demand in China. Leading up to this sale, Virginia Department of Agriculture and Consumer Services (VDACS) international marketing staff partnered with the Advocom Group to introduce TJComex members to various Virginia wineries. Advocom and VDACS staff worked together to coordinate a trade visit by TJComex members to Virginia, during which members of the exchange met with Virginia companies producing wine, wood products, and other agribusiness commodities. Founded by Virginia residents Lane Bailey and A.J. Donelson, the Advocom Group is a global consulting firm with offices in Washington, DC and Beijing. “We were pleased with this initial purchase and we look forward to helping TJComex with future purchases and investments in Virginia wines and other products,” said Donelson. Domestic and international promotion of the Virginia wine industry is one of Governor McDonnell’s top economic development and jobs creation initiatives. Since 2010, the McDonnell administration worked with the General Assembly to establish a reimbursable tax credit program for the establishment or expansion of vineyards and wineries and to almost triple the amount of funds placed in the Virginia Wine Promotion Fund for research, education, and marketing programs. Governor McDonnell also promotes the sale of Virginia wines in Virginia, around the country, and during foreign trade and marketing missions.